We live in a strange country at a strange time. On Friday it was officially announced that the wife of the Prime Minister Sara Netanyahu is going to be indicted for misuse of public funds. No one in the right mind believes that her husband was not aware of what was going on. All last week the news was filled with stories of different people arrested all of them confidants of the Prime Minister. (See my Newsweek story) . 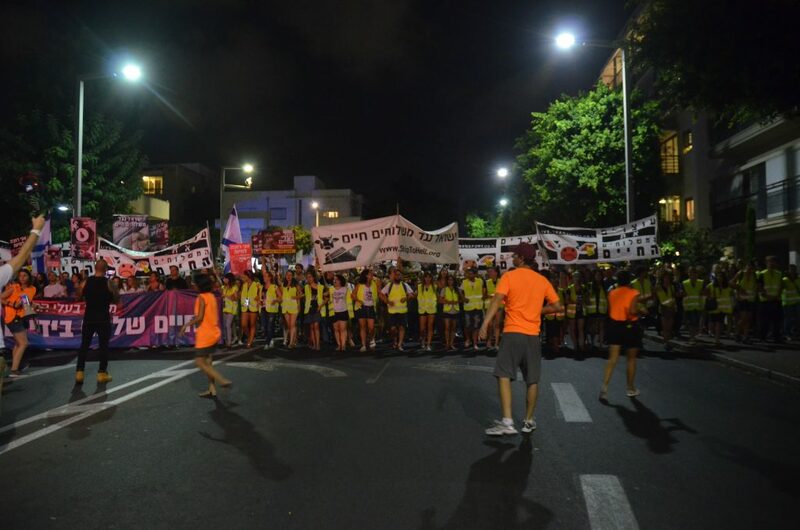 But tonight what is happening in the streets of Tel Aviv? About 100 people have come out for the demonstration against corruption, and 14,000 or more are taking part in a rally for animal rights and favoring vegetarianism. Most of those attending the rally against corruption were people in their 50’s,60’s and 70’s. The speaker called for Bibi to resign and described the many corrupt things that have happened, and gave a preview of some of the things that have not been understood by the public yet. The large rally for animal rights was filled with young people including some of the younger members of the Knesset. It was well organized and the crowd was enthusiastic. They seemed strangely hopeful that they would make a difference. I interviewed a few of the marchers and asked them why they came out. Two young women said because they cared about animals. I asked why not go to the rally against corruption? They shrugged and said they cared about corruption, but animals are something that tugs at your heart. They said animals cannot speak for themselves. When I asked another couple why did they come out for animal rights and not for the slaughter in Syria (there were a couple of rallies at the Russian Embassy where 100 people showed up)they also shrugged and said they really care about animals. We are at a strange place. Young people want to express themselves but seem convinced that when it comes to politics or even economics it’s impossible. 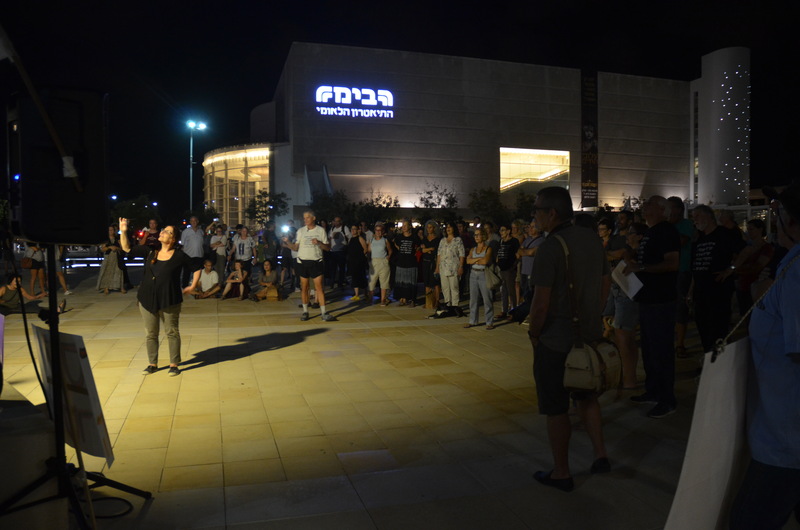 Instead, they seem to be directing themselves to a nice generic cause- where they cannot fail, after all, there are more vegans and vegetarians in Tel Aviv every day. Marc, Amy’s daughter, Brooke, is a vegetarian, doesn’t even eat fish. She is an outstanding student at U Chicago, who wears only two pair of ugly pants and shirts. She cut her hair short and responds to every call of injustice, even when it ‘s ridiculous. We, too, don’t know whether to laugh or cry. Something happened to this generation of kids. I think academia has failed them. Please don’t tell Amy I told you this-think she is very sensitive about it. I THINK AMY’S DAUGHTER IS RIGHT. MY NEPHEW [27, 4TH YEAR MEDICAL STUDENT AT HADASA EIN KAREM, JERUSALEM] HAS BECOME VEGETARIAN AFTER A TRIP TO VIETNAM LAST YEAR. HE EATS EGGS AND CHEESE, POTATOES AND NOODLES, AND MANY KINDS OF SALADS. HE IS HEALTHY AND HAPPY. HE SWIMS, WORKS OUT IN A FITNESS ROOM , AND LAST WEEK HE WENT ON A TWO-DAY TREK WITH HIS GIRLFRIEND, STARTING IN THE NEGEV, AND ENDING IN THE DEAD SEA. BY THE WAY, MARK, THERE IS NO SYRIAN EMBASSY IN ISRAEL. ISRAELI DOCTORS, WITH THE COOPERATION OF THE IDF, HAVE BEEN HELPING WOUNDED SYRIANS IN OUR NORTHERN HOSPITALS.